Tired of doing the same old thing when it comes to decorating your Easter eggs? So were we. 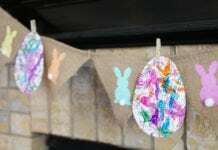 This weekend we decorated Easter eggs in a way we created last year and it’s so simple even my 20-month old was able to do it. However, they were fun enough that even my kids’ older cousin were interested! Sometimes dipping eggs into food coloring gets messy and it’s often difficult for young kids (and even some adults!) to do. I wanted something that would be fun for them and something they could fully participate in. Last year we tried using Washi Tape to decorate and we loved the results! My son at the time was too young to help then, but my daughter loved it so I wanted to make sure we did it again this year. If you need a new, easy way to decorate eggs for your little bunnies, check out our Washi Tape Easter Eggs below! Hard-boiled eggs, cooled. This is very important. Make sure they are cool or the tape will peel. 1. After you have hard-boiled your eggs, make sure they have cooled. Then cut your favorite Washi Tape into squares to begin your patch work. 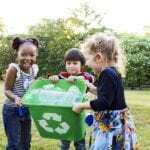 Obviously, mom or dad should do the actual cutting, but if you have an elemnetary school student then they can do their own. 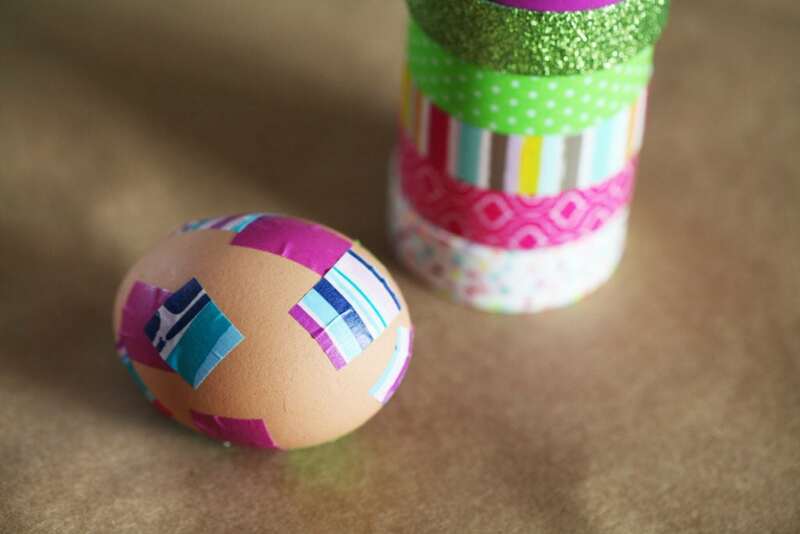 TIP: If your eggs are too hot, the Washi Tape will not stick. 2. 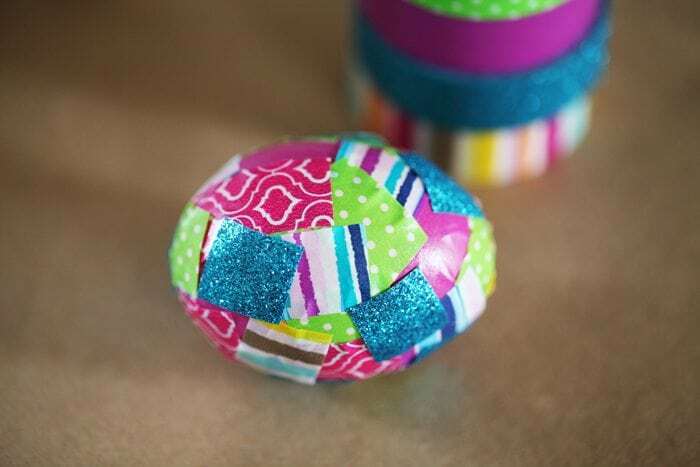 Continue to layer different Washi Tape until your egg is completely covered. 3. Use the glue to help keep down some unruly edges. I found that the sparkle Washi Tape was the biggest offender with unruly edges. It doesn’t stick or bend as well so it wasn’t as happy about conforming to the shape of the egg. However, it was a perfect way to finish off the design! Don’t you think? Oh and these make beautiful centerpieces on Easter day too! Need more ideas? 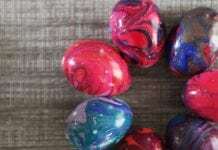 Check out out tie-dyed nail polish Easter eggs. What a clever idea this is. 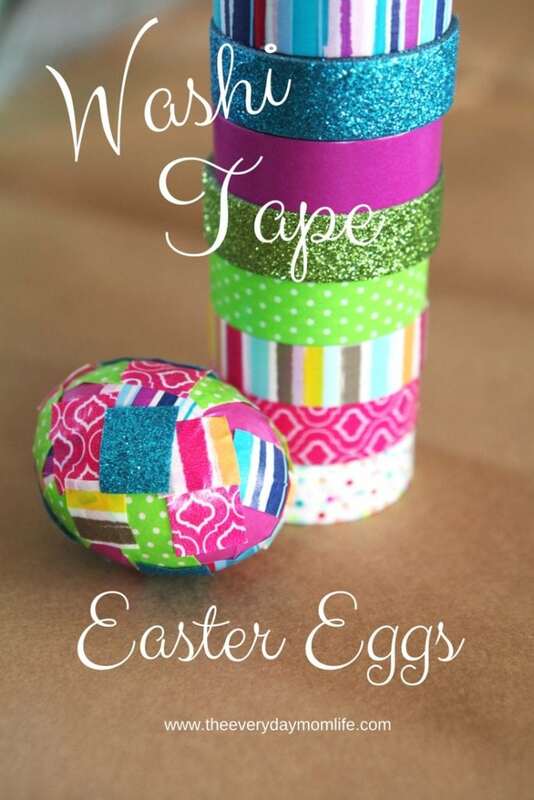 I love how each egg would be completely different depending on the tape you use! Love love this idea! I would never have thought to use wasabi tape! 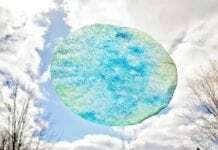 I was thinking of doing paper mache but this would be so much easier! Washi tape is such a trendy thing. I love how versatile it is. You mad this look so Springy and fun too! Those are super cute and easy to do. I have a strip that has all little pieces of washi. 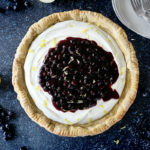 What a great way to use it all up! These are adorable and I’m sure both my daughters would love this Easter project! I like the idea of using washi tape instead of dyes. It is less messy and allows you to be more creative. This is such a cute do it yourself project for little kids. Love this idea! 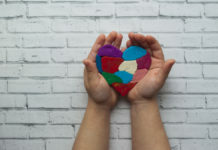 I love how easy these are to make for kids and then you can choose all kinds of different colors. I bet you could even use colorful duct tape. Wow this is really a great idea. I love collecting washi tapes too but I didn’t think to use this for easter eggs. That’s so cute! Very creative! I hadn’t ever seen this dome before, but seems like a great way to avoid the mess! These are so cute! I like that it would keep the kids entertained for quite a while! 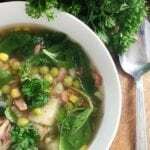 This is such a fun alternative to dying the eggs –– I’ll have to give this a try this easter! 🙂 Thanks for sharing. Love this, creative beyond traditional egg painting! this is such a cute idea! number one the traditional egg dye can be such a mess & number two my niece looooves to be more creative & have more control so this is the perfect alternative! This is such a great idea! Less messy than normal Easter egg paint! What a great idea! We’ve tried almost all the dyes and it’s such a mess or never works out right. I like this idea and will be trying it this year for sure! 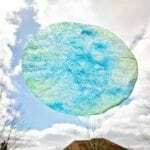 This looks so much easier and cleaner than painting eggs! Definitely sharing this post with my friends with kids so they can give it a go. I haven’t seen that before but that is a really great idea to do. It looks like it would be less messy to do with kids and you can do many patterns with the washi tape. This is such a lovely creative idea. It looks like a lot of fun and less mess too! Little ones would love this. What a clever and unique idea for egg decorating! Love how simple this is and how it gives us yet another cool use for washi tape! Will have to check out your tie dye nail polish egg idea too! What a cute and fun idea. You are so creative. this is a great thing to do with the kids. they will love this for sure. This is such a fun, low mess option to decorate eggs! I love how unique each egg looks. 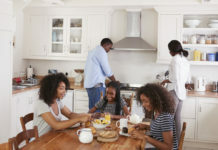 This activity is perfect for a home-centered easter egg hunt. I just didn’t know how to implement it until I saw this post. Good tip with cooling the eggs, it’s something basic most people like me would miss out on. Awesome! I love this idea! Kids would have so much fun doing it! Thanks for the fun Easter idea! My boys love to use tape. I love this idea! I need to make this with my daughter this weekend! This is brilliant! 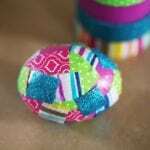 You could even do them on wooden eggs and seal it with mod podge for a permeant decoration. They’d look so cute in a glass vase! This is a great idea! Agree that dying eggs can be messy but this is much better! Can’t wait to try this with my kids. So fun! This is the first time I have heard of washi tape. I guess because I am not really into arts. But your idea is great. 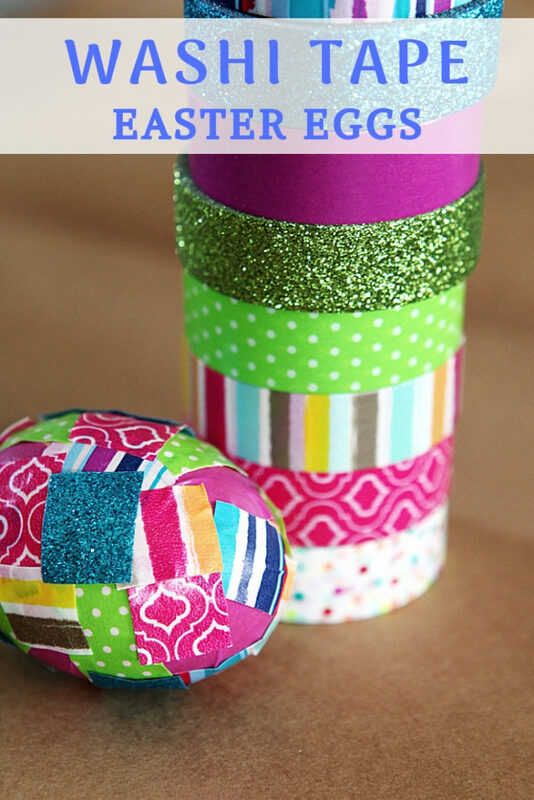 I think that you and the whole family enjoy making those easter eggs with washi tape. I love this alternative decoration for Easter Eggs! 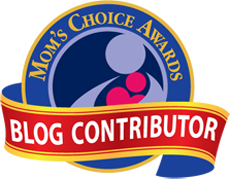 This will be a fun activity to do with my children – thank you! Those are so much fun! My tween thinks she is too old for things, like holiday fun. But this she will totally be into. I love washi tape! It comes in so many different colors and patterns. Never thought to use it on Easter eggs! I LOVE this idea!! What an easy, fun way to decorate the eggs. They are so fun and colorful with all of the different tapes. Cute! Cute way to make easter more memorable by havin the kids decorate their own eggs! Love it.